What’s the essence of being positive? Tell students what you want to see happen, instead of what you don’t want to see. Learners with ADHD–and most of your other learners, too–will respond best to this type of feedback. For example, if your student is engaging in an undesirable behavior, don’t point out and criticize the behavior–instead, tell him in specific terms what you want to see him doing instead. 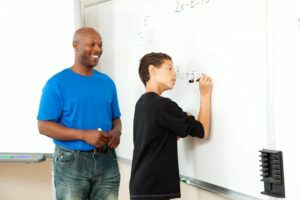 Not only will this help your student understand and focus on what you want him to do, it’ll also prevent him from stopping one nonproductive behavior only to start another one. It’s easy to overload students with complex instructions–a sequence of directions that seems clear to you might be bafflingly complex to your students. Many learners with ADHD will find it easier to comply and complete tasks if you simplify your directions down to one at a time and ask for feedback after each one. Request that the student repeat the direction, for example, to ensure they understand. Post your classroom rules, and check in occasionally with learners who have ADHD to make sure they understand the requirements and behavioral expectations of different environments. For example, before sending your student out to recess, you might quickly review the behavioral expectations of the playground and go over any rules that may be especially tough for the student based on her past behavior. This doesn’t guarantee a reduction in impulsive behavior, but it will help assure you that the student is aware of the rules, even though they may not be able to follow them every time. Pair an undesirable task with a desirable one. Students may find it easier to increase on-task behavior when a repetitive, uninteresting task is paired with a motivating task that captures their natural interest. For example, if you have a student who loves to draw, you might encourage her to draw a picture illustrating one of her math problems after she completes several of the word problems from her textbook. Slipping a highly desirable activity into a “less fun” task may help students maintain attention and finish their work. Some students with ADHD respond well to external visual or auditory cues, such as a beep to remind the child to make sure they’re working. Cues like these, which don’t directly involve teacher intervention, can be helpful in maintaining appropriate, on-task classroom behavior. The success of a system like this one requires the student to be motivated to self-monitor, so this type of intervention often works best with older students. Unexpected changes can trigger challenging behavior in students with ADHD, because they tend to become overaroused easily and may have difficulty moving from one environment to another. Avoid these triggers by preparing your learners with ADHD for changes in advance. For example, mention the amount of time left in a work period, and take your student aside to explain any changes in your routine that might happen later that day. As Mather notes, learners with ADHD tend to move easiest “from formal to informal, focused to unfocused, or structured to unstructured environments. 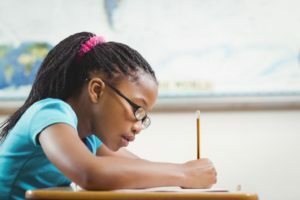 They are the last to begin work but the first to stop.” You might notice that your students with ADHD are last to settle down and resume work after a break, and they may have trouble switching from one classroom to the next. Support your students by reducing the need for such transitions when possible, giving the student additional structure and guidance during transitions, and providing positive reinforcement when the child successfully completes a transition. Students with ADHD often exhibit more restless and overactive behavior than their peers do. If these behaviors aren’t interfering with the student’s classroom performance, and if the child is completing work at a rate similar to other students, be flexible and allow your students to engage in extra movement (as long as it doesn’t disrupt the class). 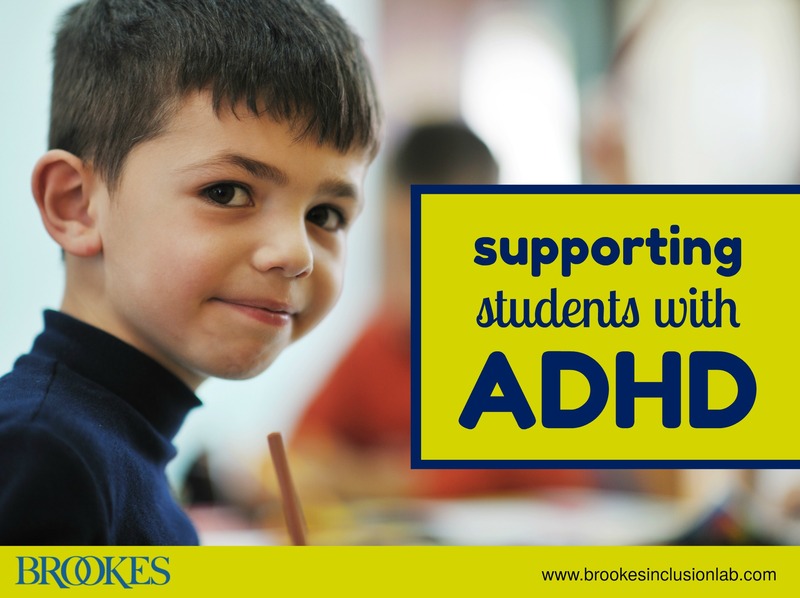 A consistent sequence of daily events is important to the success of many students with ADHD. It may feel natural to hook student interest by mixing things up every day, but varying your sequence of activities may confuse students, decrease their attention to tasks, and interfere with their work completion. Plan your routine and stick to it to promote understanding and task engagement. …But change things up within the routine. Planned routines don’t have to be boring! Within your consistent routine, there’s still plenty of room for choice and variation. Learners with ADHD tend to function better when they’re provided with multiple short work periods and opportunities for choice between tasks within each period. 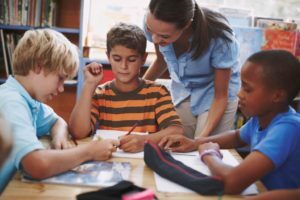 Immediate feedback and increased one-to-one teacher attention are two things that help many learners with ADHD function significantly better in school. Sometimes, moving a student’s desk closer to you is a positive way to set the stage for more feedback. 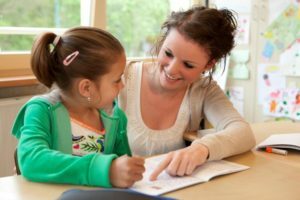 You also might try using adult aides, children from upper grades, or same-grade peer tutors to provide your student with more feedback and increase their task completion. Develop a system to keep giving your students positive reinforcement for their successes, no matter how “small.” As Mather says, “Students with ADHD need opportunities to try again, succeed, and be praised. 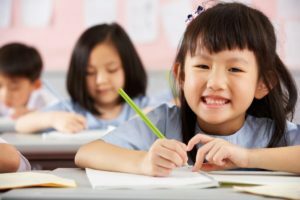 Many children with ADHD develop a view of the world as a place in which they are unable to succeed and, over time, develop feelings of helplessness and hopelessness.” Reinforce your students with ADHD as much as you can to keep building on their small successes and instill a feeling of hope and confidence. 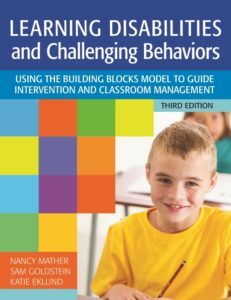 Use the proven and popular Building Blocks model in this guidebook to help struggling students master 12 school success factors. Get in-depth information on today’s most critical topics, including school climate, multi”‘tiered systems of support (MTSS), positive behavior interventions and supports (PBIS), social”‘emotional learning, and student”“teacher interactions.